This is my first time to attempt to eat Korean Food, so I have to very careful in passing on my reviews. 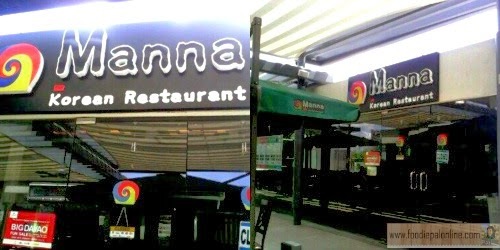 One of Miss Teen Philippines 2014 Davao sponsors, is MANNA KOREAN RESTAURANT located in the sky garden of SM Lanang Premier. 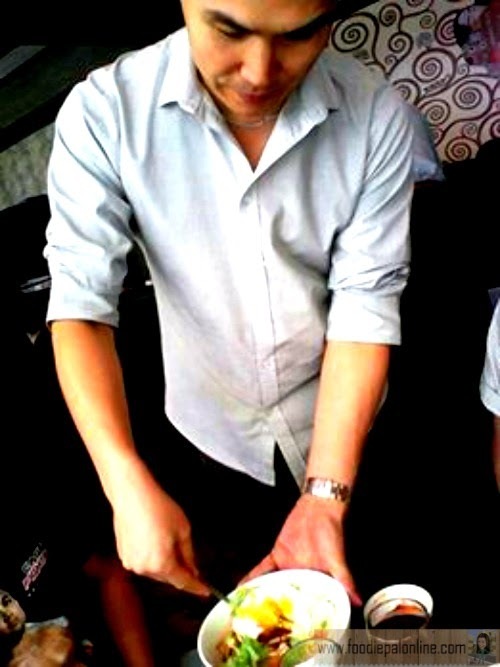 We are so very grateful for the overwhelming welcome to us by the owner Mr. Richard Ryu. 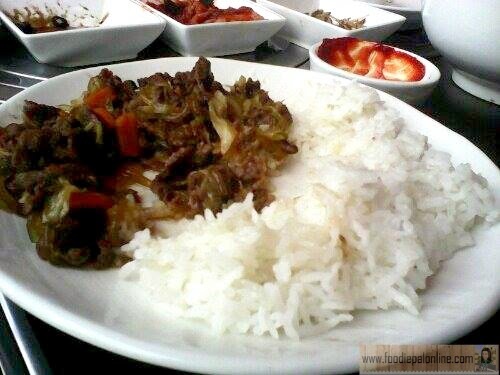 Who is very enthusiast in demonstrating the right way of preparing and eating Korean food. So lucky to learn how to eat Korean food from a Korean Food expert. First, we were given 3 little dish starter, which includes sweet peanut, sweet fried dilis(small fish), and the compulsory KIM CHI. A great way to start your meal like this! 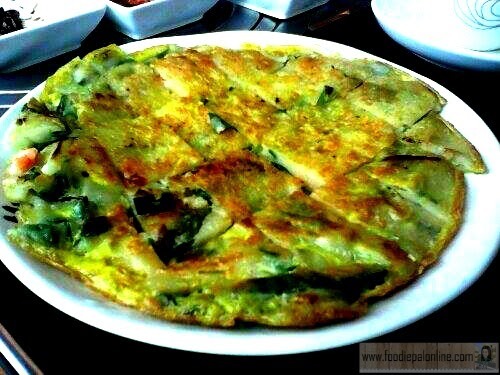 The Seafood Pancake, which have the crispiness from the outside and the mixtures of seafood and vegetables inside. 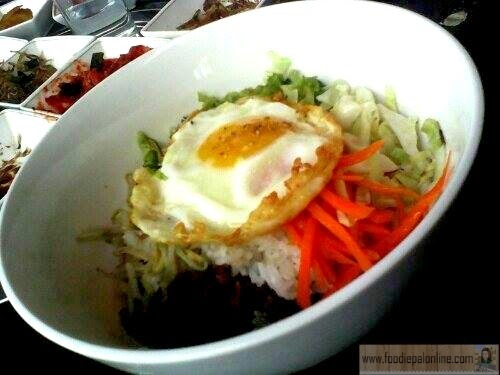 And the famous Korean dish the Bibimbap, which means the mixture of rice, which comes with an array of vegetables and minced beef and egg on top of rice and added with the gochujang(red chili paste), super chilly but taste yummy! Those who hate to eat vegetables this will be the time that your conceptions about vegetables will be changed. Located at SM Lanang Skygarden, nice place to chill with friends if you want to experience a novel aura of having your lunch, snacks or dinner. Not a big place to hold a party, but enough for a family gathering such as family lunch or dinner after church or just roaming around the mall. 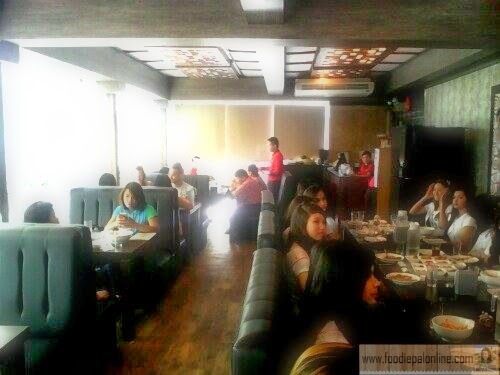 It can also cater small meeting for 15-20 people. For the money, for the cheap price point for food leaves a justification that whatever you pay is equivalent for your taste satisfaction. Service is very good and the staff are super friendly. Very accommodating. It's my first time here and first time to eat Korean food, we had a great experience. I would definitely come back to try their other dishes, especially the one wherein you have to cook, steam and grill your own food. Overall, the experience is overwhelming! Glad they open a branch here at SM Lanang. 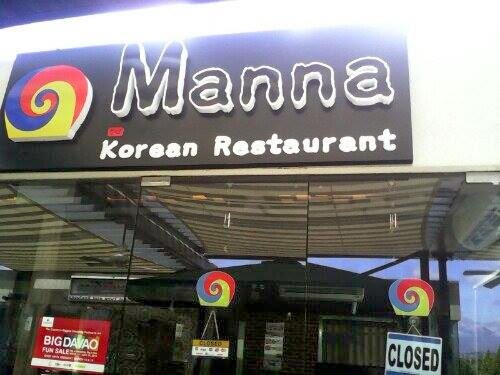 Thanks so much Manna Korean Restaurant for sponsoring Miss Teen Philippines Davao Region. GF Door 11 C5 Bldg. I like the restaurant's set up. Looks very cozy. 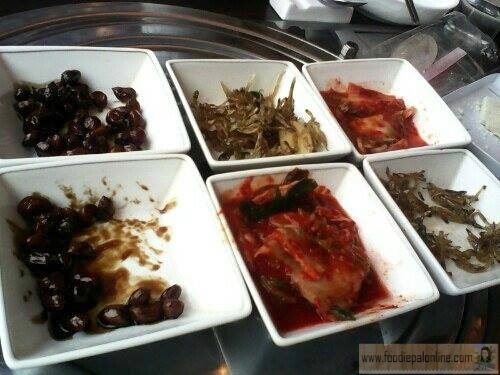 Korean food are very colorful and tasty. Glad they opened many authentic Korean restaurants in the country.